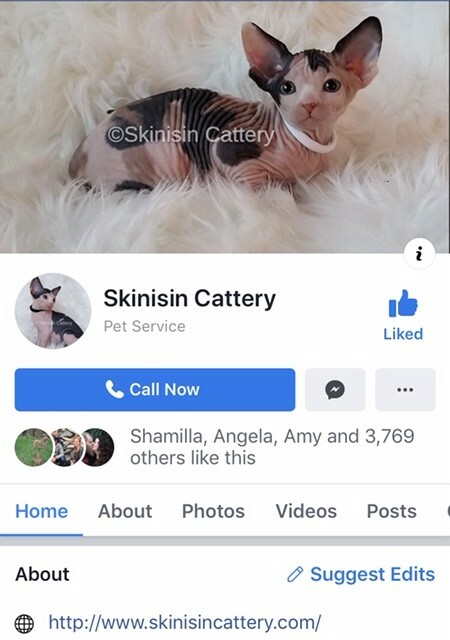 Has anyone had issues with Skinisin Cattery? Let me know if you have had troubles with this business as I am putting together a formal complaint. My mom and I are trying to build our own cattery in the same area as Skinisin. We have had nothing but issues with Colleen of Skinisin harassing us and trying to sabotage us on FB. We are so sick of her bullying. I’ve noticed that she has also been banned from many FB Sphynx groups for malicious mischief. So sad.